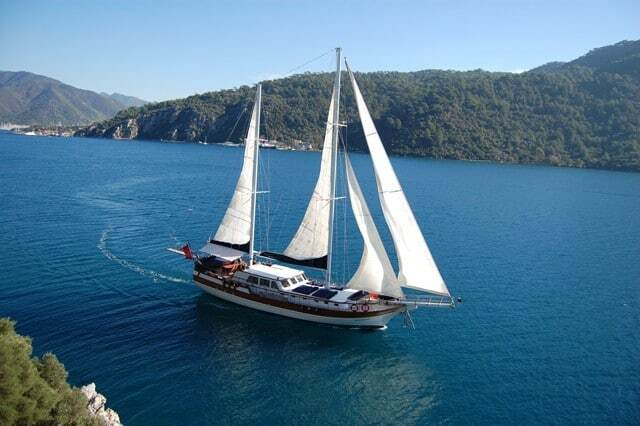 One of the few good quality, spacious and new build gulets based in Marmaris Turkey; the Remzi Yilmaz gulet is a superb Turkish yacht accommodating up to 12 guests in 1 master, 4 double and 1 twin cabins. Each cabin is beautifully designed, spacious with good sized beds. The crew is experienced, professional and always ready to cater to guests needs around the clock. If you are seeking a very well priced (good value for good gulet quality); the Remzi Yilmaz gulet is an ideal choice for family charter groups and couples only guest groups. She is a popular charter, with good reviews and books up early.